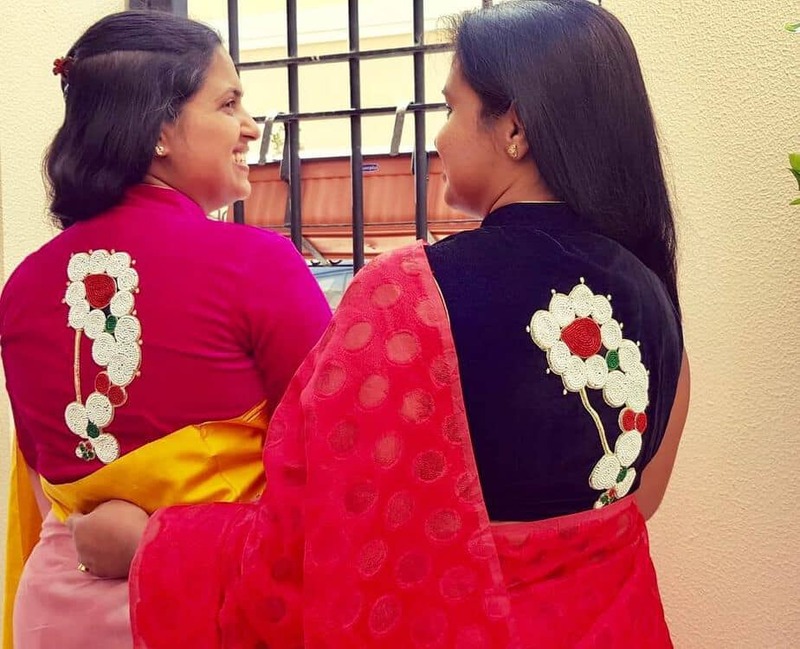 Fashion Trends These Quirky And Unique Blouse Designs Will Make You Go Wow! Every woman is concerned about her outfit as the wedding season approaches. Be it a simple puja at home, a festival, a family function or a wedding. Your ethnic wear game must be on point. Be it a lehenga or a saree that you are planning to wear, a blouse is the most important aspect of the outfit. If you want something different and quirky, we have brought some of the most creative blouse designs for you at one place. 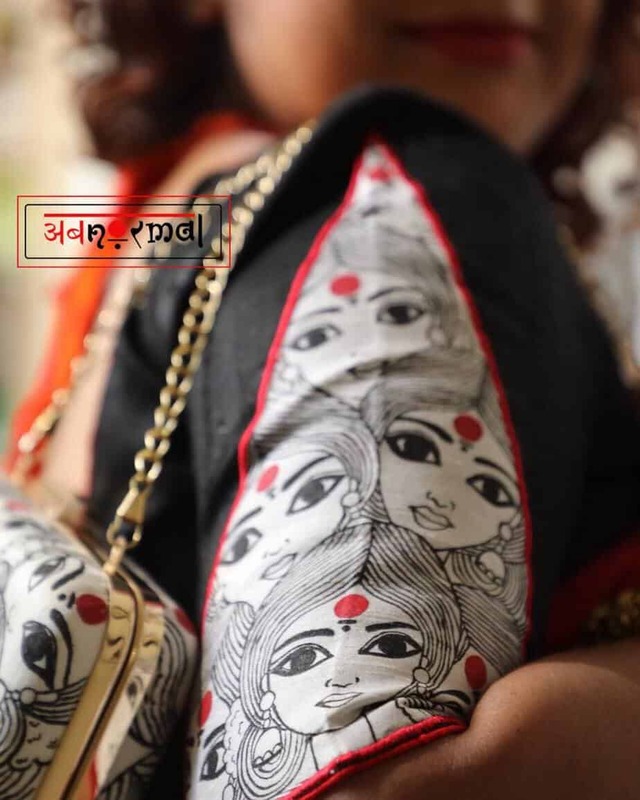 We found this really cool brand called अबnoरmal from where you can get super stunning blouses for your next event. This totally different quirky blouse design which is titled kashibai by the designer. 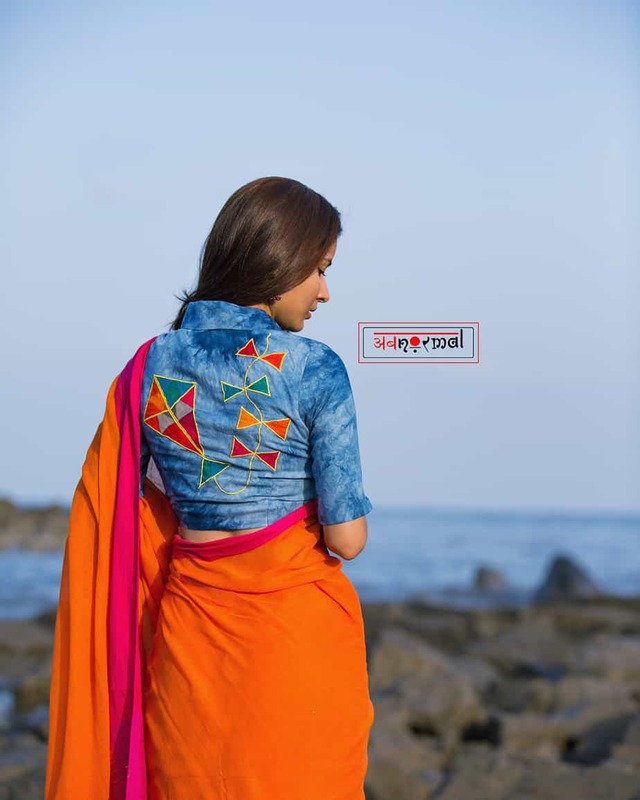 This unique blouse has the Maharashtrian nath motif on the back and comes in magenta and blue velvet fabrics. This holi special blouse design is a great pick for the upcoming festive season. Made in pure mulberry silk and tie & dye print, beautiful latkans on which rang barse is written. The blouse latkans are hand painted. The blouse comes in sizes from 34 to 48 and is priced at Rs.4000. 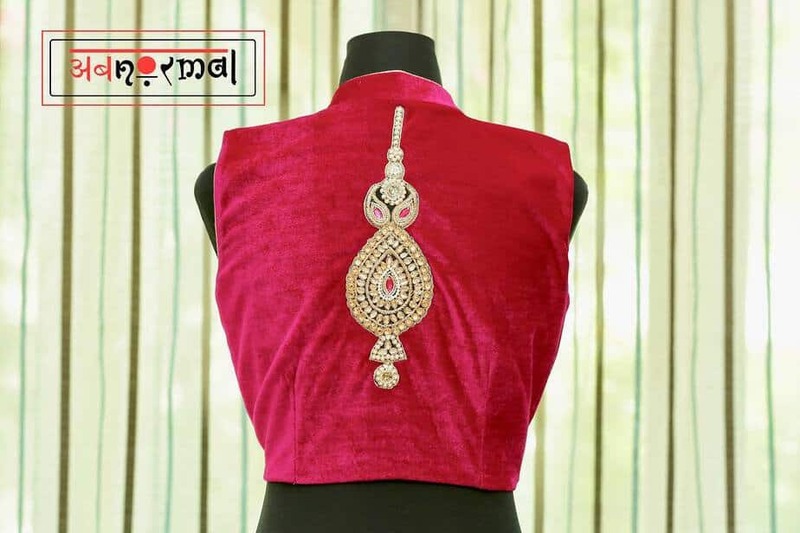 This deep pink velvet blouse with a maang tikka motif can be paired with a black saree. 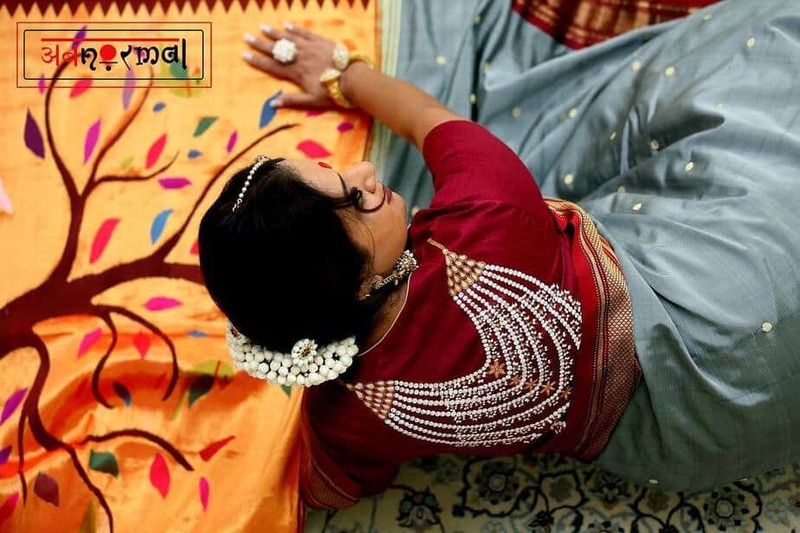 It can also be paired with a Gadwal, Paithani, Maheshwari, Chanderi, Kasavu, Kanjivaram pattu saree, or even solid colored banarasi saree. This bejeweled blouse is also available in other colors like Black, Red, Green, Yellow, Fuchsia, Violet, Royal Blue & Maroon. the blouse is priced at Rs.5000. 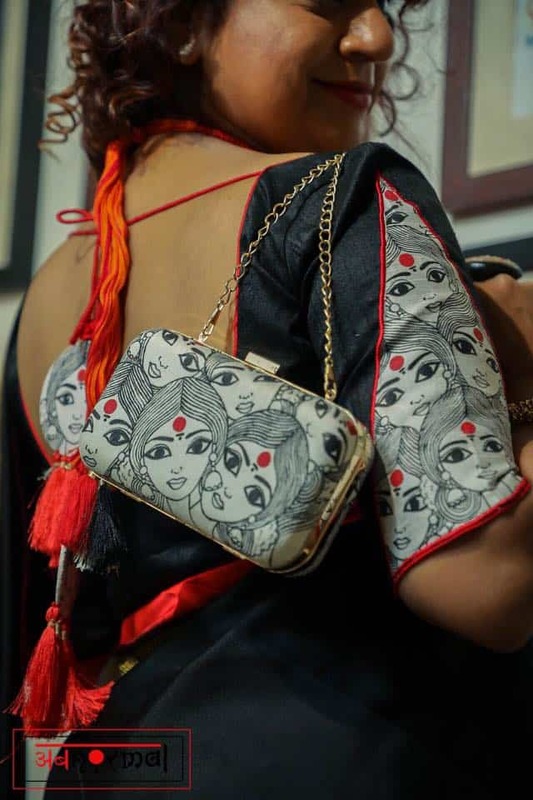 This statement blouse design inspired by the power of women with hand painted faces of women with a red bindi on the sleeves and latkans. The blouse can be customized in red and black colors also. They also have a matching printed clutch like this saree. 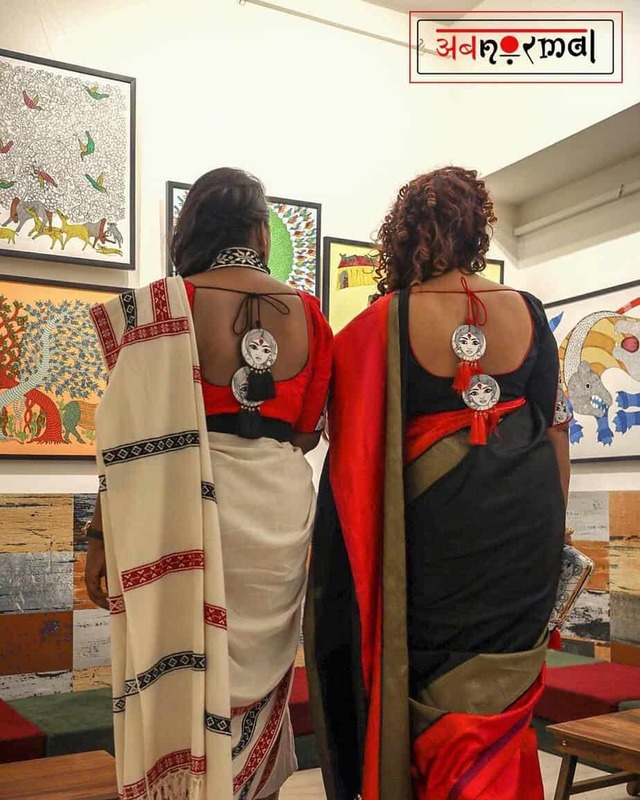 The saree & clutches are priced at Rs.4500 and Rs.2500 respectively. This Audrey Hepburn embroidered blouse design featuring her as the famous Holly Golightly in Breakfast at Tiffany’s. She is wearing her LBD with embroidered jewelry and headband. This Abnormal blouse is also available in all sizes ranging from 34 to 48. Its priced at Rs.4000. This dainty pink blouse with pearl and floral detailing is perfect for everyday wear. 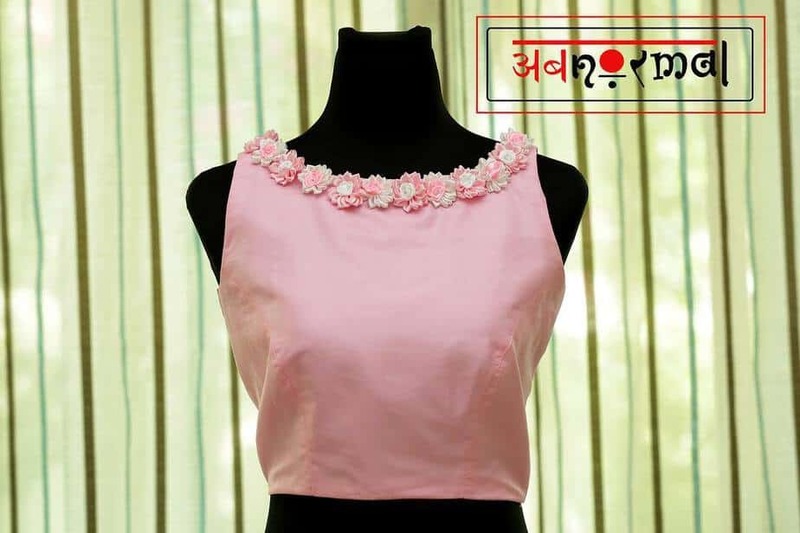 This blouse design is called “Gulaabo” and is made in pure raw silk with handmade roses in pink and white that look almost like a necklace. This Abnormal blouse is priced at Rs.4000. A typical choli you have come to associate with Rekha. Fitted. High neck. Deep & broad neck in the front. Hand pleated around the neck & sleeves for some drama- says the designer. This choli is priced at Rs.3500 and can be paired with a variety of sarees be it any occasion like- day time, party, corporate events etc. 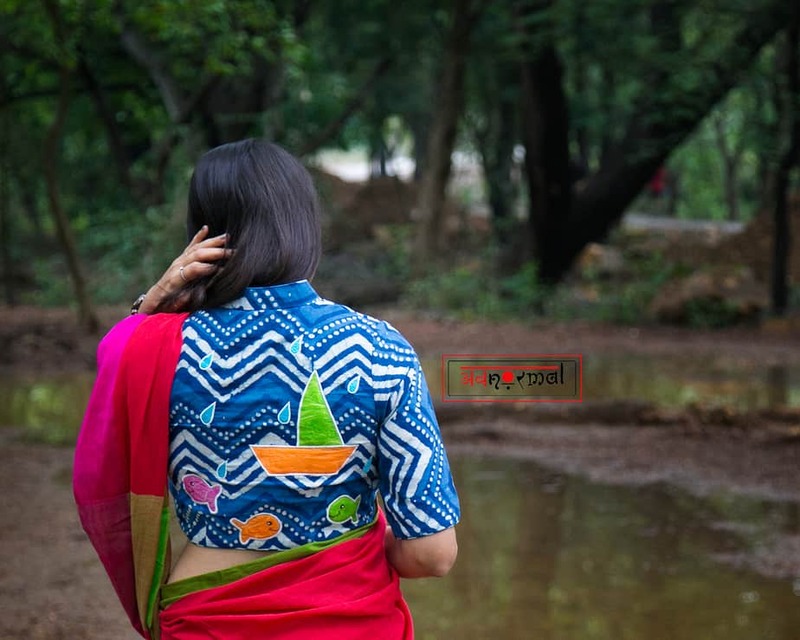 This cute cotton blouse with a boat print by Abnormal is yet another creative blouse design. This beautiful blouse with prints containing kites, maanjha, and phirkee is done in the traditional batik print. The fabric is pure cotton and is very comfortable. This utterly cute blouse design in pure raw silk in haldi yellow color is all kinds of goals. 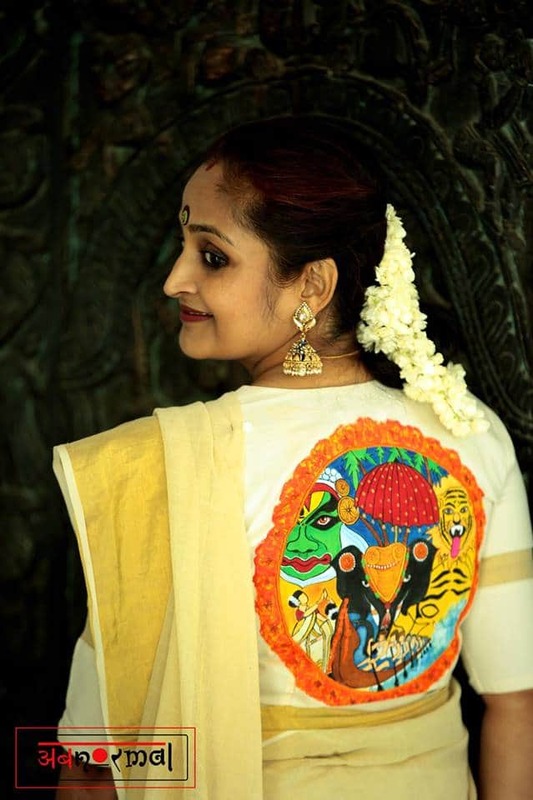 This gorgeous blouse with a satlada printed on the blouse back is one of the most beautiful blouses in their collection. 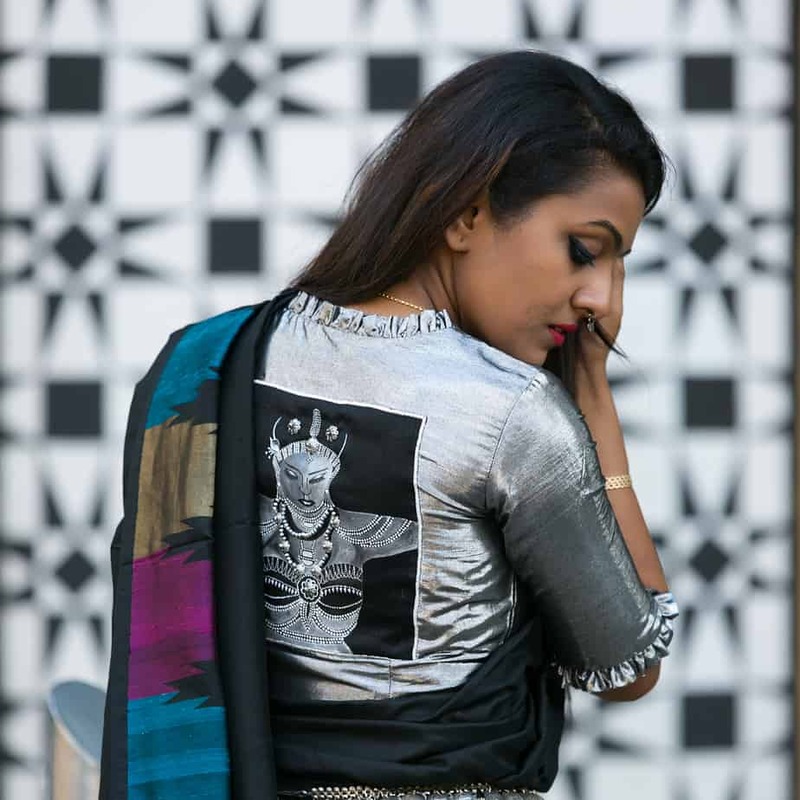 This festive blouse by Abnormal featuring the face of Maa Durga is so unique and different. 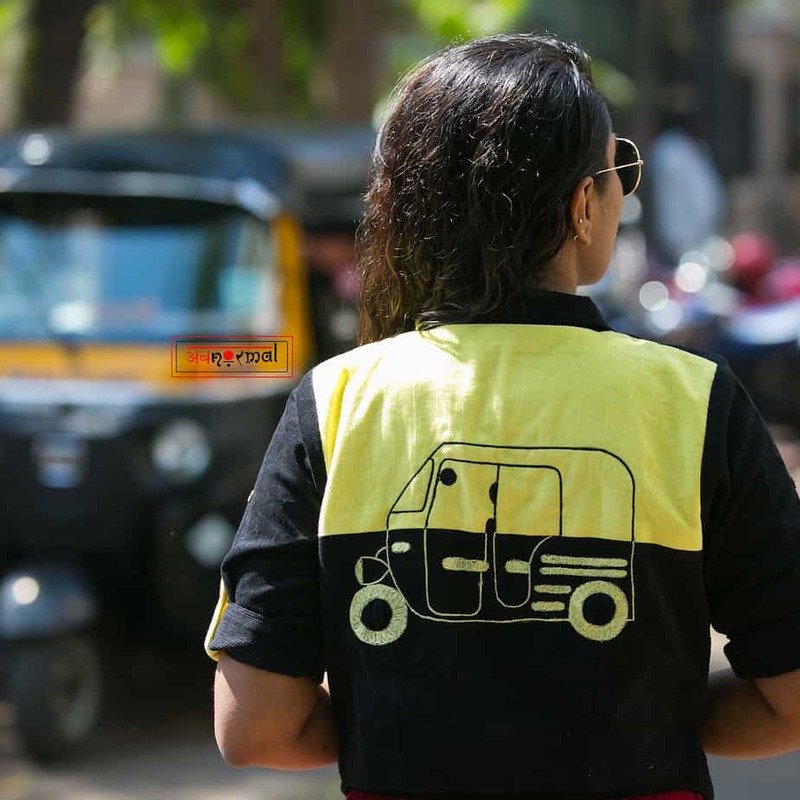 This creative quirky blouse inspired by the kaali peeli auto rickshaws in Mumbai has a zipper on the front. The contemporary design makes it ideal for fusion wear. This black & white checkered statement blouse comes with a message no husband can deny. 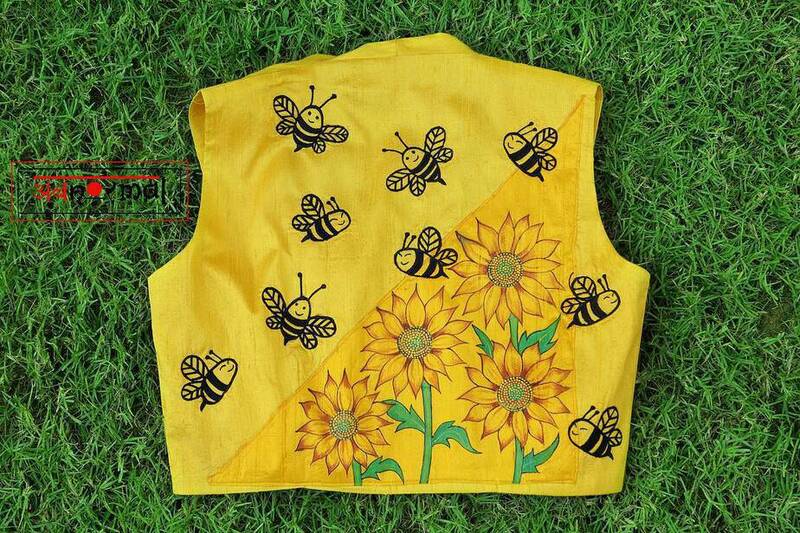 It is available in all sizes and is priced at Rs.3000. 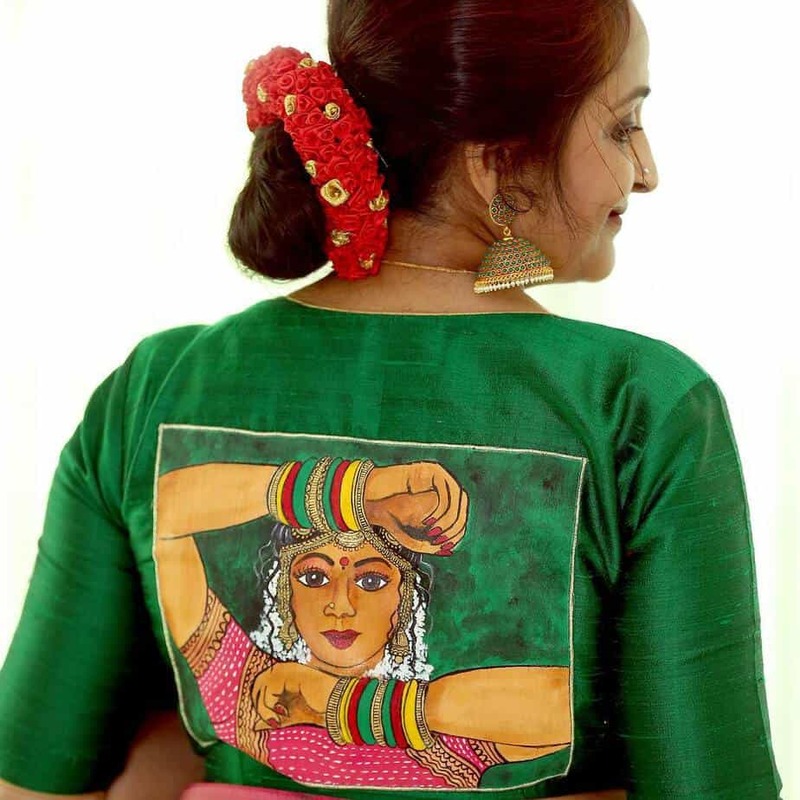 Pure raw silk green blouse design with Hindi alphabets embroidered on on a leaf. 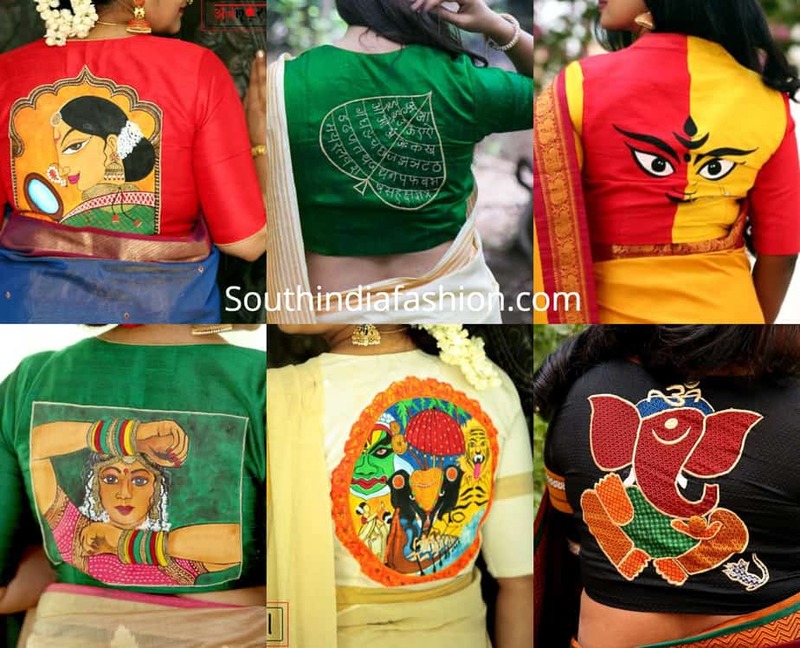 To sum up, these unique and attractive saree blouse designs will surely fetch you compliments. Which blouse design do you like the most? Let us know your favorite blouse design in the comments below..